Thanks for stopping by and I hope you enjoy my novel! 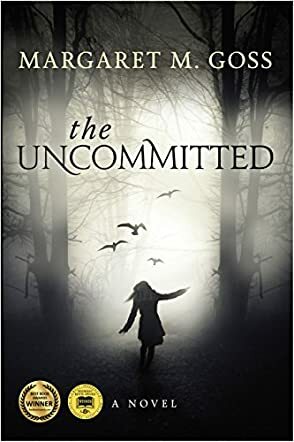 The Uncommitted by Margaret M. Goss is an intense and harrowing journey built upon love, fear, faith, and destiny. Josie, a young mother, is doing her best for her family. She has an unusual gift, one that her grandmother and mother also shared: taking messages from the dead to the living via visions, dreams and telepathy. Unfortunately, channeling the dead opens her up to dangers she never imagined. When her sanity is questioned, she meets Dr. Andrew Chase, who also has special abilities. The fates of these two characters – Josie and Andrew – are intertwined by their Catholic faith and their supernatural gifts. As Josie strives to understand her path, she discovers a deeper calling that may undo the love, loyalty, and security of her family. As the story progresses, an evil haunts her, intent on destroying not just her life but her spirit. Author Margaret M. Goss has a wonderful ability to create suspense in The Uncommitted. Through her deft use of descriptive writing and realistic dialogue, she builds a story that is hard to put down. The journey of Josie’s struggle is so honest and raw, it keeps The Uncommitted from falling into a cliched portrayal of faith in one’s religion. Added to that is the sincerity of the character of Andrew and the straightforward use of his gifts, which helps to build an intriguing tale. None of the scenes ever felt forced, and the story moves along at a pace that held even my squirrelly attention. I enjoyed this read even though it has a heavy Christian component to it. This seemed so natural to the characters that I never felt the author was preaching at me.